Description: The Eternal Army's Ultranaut Corps are one of the most recognizable, respected and feared military forces amongst the various Planetary Defense Militias belonging to the many worlds under the banner of the Confederacy of Independent Systems. Starting out as a shipboard defense unit amongst the refugee fleet that would eventually form into the Eternal Empire, their doctrine has evolved drastically throughout the years since the Exodus in the aftermath of Krayiss II. A far cry from their ragtag origins, the Ultranauts have gradually morphed into one of the most disciplined and effective fighting forces in the galaxy, capable of maintaining unit cohesion and keep fighting even under the most dire of circumstances, regardless of casualties or odds. The standard two years training regime of the Ultranaut Corps is amongst the toughest and most difficult amongst any mainline military units in the galaxy, comparable to most special forces. Ultranaut recruits undergo a grueling drilling routine amongst some of the harshest environments known to the galaxy, in the harshest conditions possible, preparing them for a variety of combat scenarios, ranging from planetary assaults and sieges, to shipboard and EVA combat in high-G and low-G battlefields. As the Eternal Empire's population is small, compared to other planets in the galaxy, the Eternal Army lacks the manpower to match the numbers that potential enemies could field and as such, its military doctrine has evolved to make up for this. This combined arms doctrine, called Storm War by those who developed it, places heavy emphasis on discipline, organization and force multiplication to level the odds and the Ultranaut Corps excel in this role. On an organizational level, the Ultranauts are split into combined arms regiments consisting of roughly five thousand infantry, plus a number of supporting forces, divided into four battalions. 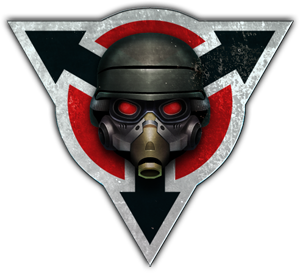 Each battalion consists of six companies of Ultranauts, plus a company of artillery, special forces, combat engineers or heavy armor which the Ultranauts fight in a highly coordinated manner with, forming a highly effective combined force, subordinated to a ten-man command squad. Taking this combined arms approach to a smaller unit level as well, each company consists of three infantry platoons, supported by one heavy weapons platoon provided by the Logistics Corps Combat Engineers, plus a five-man command squad. This style of organization is reflected on a platoon level as well, with each platoon consisting of two fifteen-man sections and a a ten-man support squad armed with heavy weapons such as machineguns. Each section is split into three fireteams of five. 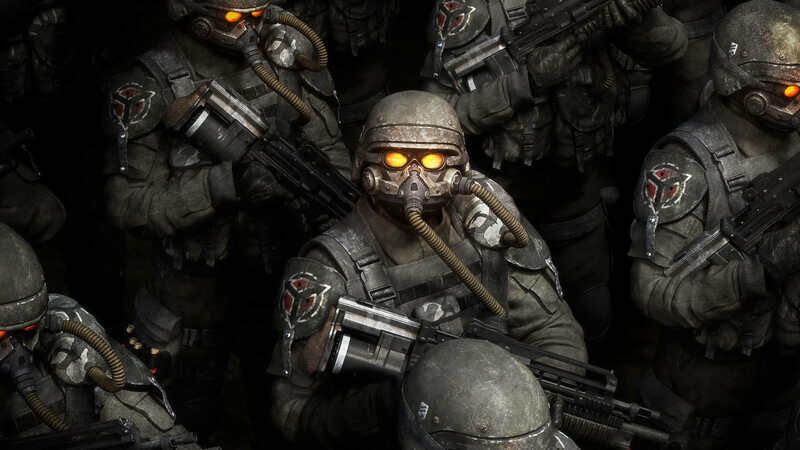 Outfitted with a variety of weapons and utilizing vacuum-rated armor, as well as enhanced optics technologies, the Ultranauts are not a stealthy unit, or one which is suited to Republic-style light infantry tactics, however they are a versatile and heavy-hitting military force capable of unleashing vast amounts of firepower upon the battlefield. They are well-organized, brutal and very effective, a fact emphasized by their performance during the Battle of Eshan, where a small number of Ultranaut regiments held their own and eventually defeated a much larger force of Mandalorians, despite being greatly outnumbered and suffering over ninety percent casualties, in some cases. Unit Experience: Veteran - Ultranauts undergo one of the toughest training regimes in the galaxy, by regular military standards, often compared to that of special forces. They train to operate in some of the most harsh and challenging environments and carry out a wide range of missions, but heavy emphasis is placed on prepared fighting positions. As the Eternal Empire's history is characterized by nearly constant conflict, its Ultranaut regiments have seen nearly constant deployment on a large number of battlefields, rightfully earning them a reputation for being amongst the most hardened and experienced troops in the Confederacy, if not the galaxy at large. Combat Function: Ultranauts serve as the mainline heavy infantry of the Eternal Army and are deployed on the front lines, ahead of lighter infantry. Preferring to engage in combat from prepared fighting positions such as trenches and dugouts, Ultranauts are known for their brutality, strict discipline and efficiency as a combat unit and will seek to accomplish the mission at any cost, regardless of the odds and will carry out the orders they are given, no matter how atrocious, often killing civilians without batting an eyelash, if it is deemed as the most efficient way of fulfilling their objectives on the battlefield. Formed shortly after the collapse of the Dominion in the aftermath of the Sith Empire's devastating campaign at Krayiss II, the Ultranaut Corps originally served as a shipboard defense force for the ragtag refugee fleet assembled during what would eventually be commemorated as the Exodus from Ession, the most important national holiday for the Eternal Empire. Over time, as the refugees became a nation and their resources grew, the Ultranauts evolved as well, as did their military doctrine and equipment, which adapted to serve an ever-expanding scope of missions. Shipboard security became mainline military, which eventually developed and adopted a military doctrine known as Sturmkrieg, or Storm War, which places huge emphasis upon combined arms tactics and force multipliers such as prepared fighting positions supported by heavy weapons and large-scale artillery barrages. During the Ancient Eye's reign over the fractured systems collectively known as Wild Space, the Ultranauts saw their first large-scale planetary deployments and rapidly developed a reputation for brutality and discipline. It was, however, after the Ancient Eye's fragmentation that they gained galactic recognition, after the majority of what had been the Ancient Eye reorganized itself into the Eternal Empire and joined the Confederacy of Independent Systems. Under the Confederate banner, the Ultranauts were deployed on numerous worlds and fought across a number of battlefields, most notably Copero and Eshan, the latter battle serving as their most famous action yet, where they demonstrated their capabilities by holding their own against a vastly numerically superior force of Mandalorians, despite being surrounded on all sides, having a Star Destroyer crash on top of some of their formations and suffering over ninety percent casualties in some cases, ultimately contributing greatly to the Confederate victory over the planet. Over the years, they had slowly built up a reputation for discipline and efficiency, yet it was during the Battle of Eshan that they truly showed what they are capable of accomplishing, maintaining their unit cohesion even under the most dire of circumstances, proving themselves the equals of some of the most respected and known combat units in the history of the galaxy. Formed shortly after the official foundation of the Shrouded Republic in the aftermath of the disastrous Krayiss II campaign, which left the Dominion in ruins, the Ultranaut Corps serve as the standard rank-and-file soldiers of the highly militarized nation. Well equipped and trained, they are some of the most disciplined troops in the galaxy and their combat effectiveness rivals that of the Imperial Stormtrooper Corps of whom they are an analogue. Ultranauts are equipped with the distinctive Sk-UL Mk2 Armor, which gives them their highly recognizable appearance, although they have previously made use of standard Stormtrooper Armor before the introduction of their new equipment. The hybrid rifles which are their standard issue service weapons give them an increased effectiveness against enemy Force users and some Ultranauts are equipped with sniper rifles, or crew-served, tripod-mounted repeating blasters. Additionally, Ultranauts also carry a KC-95 blaster pistol and multiple concussion and ion grenades, as well as combat utility knife which can be used as a melee weapon if the need arises. They make use of purpose-built military comlinks for communications and are trained to use demolitions explosives and landmines. Trained to operate within ships as well as on the ground, the Ultranauts are tasked with the main fighting done by the Shrouded Republic, weather it be offensive or defensive operations. They are the best frontline soldiers on offer before special/elite forces, and are the speartip of the military. One has to have a strong back, mind and resolve to make it in the Ultras, but it is a rewarding experience for those looking for challenge, or seeking to obtain the right to vote within the nation. Edited by Darth Tacitus, 18 March 2019 - 10:11 AM. Can I get you to link to a place where the spoiled image actually appears? That link takes us to the whole site, and I need a more specific link please. As mentioned on the other sub, the image no longer appears on the copyright holder's website and is only found on a bunch of wallpaper sites. What is the proper way to proceed in such cases? Like with the other, just add in the wallpaper location in addition and we should be fine. Irajah Ven Added. Its in Russian, unfortunately, but its where I got it from. Edited by Darth Tacitus, 13 June 2018 - 07:32 PM. That's just fine, thank you very much. Moved to Pre-Codex for edits. Arekk Submission updated. Ready to proceed with re-judging. Thank you. Moved to the live Codex for judgement.